Have you ever popped into the pharmacy to get just one thing and ended up walking out 45-minutes later with something different than what you went in for? 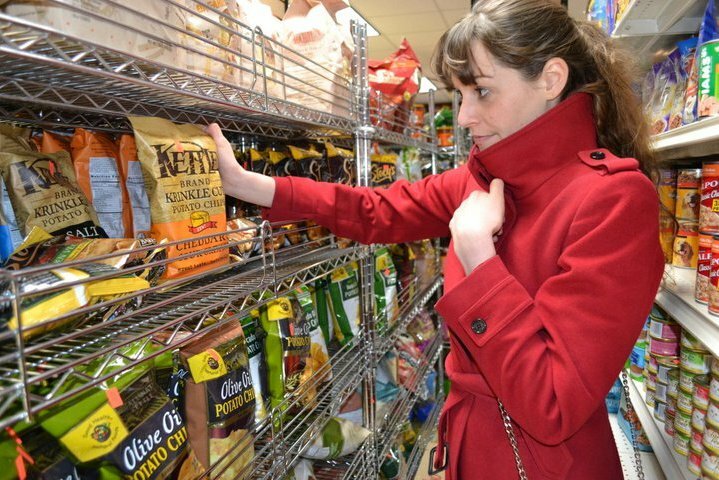 Stores like CVS, Duane Reade, Boots as well as the thousands of different grocery store chains can be overwhelming experiences. Shelf after shelf of options and almost nowhere to turn for real assistance. Almost one year ago, Consmr, the brainchild of entrepreneurs Ryan Charles and Noah Zitsman, launched in beta. To put it simply, Consmr is like Yelp for all consumer packaged goods. While there are hundreds of review sites for movies, restaurants, electronics, video games, etc, there are no definitive go-to sites for reviews of everything else; in fact it remains one of the few categories lacking a online social platform. Until now. Consmr is a resource for reviews and social sharing on the products you typically find at a grocery store or drug store – from beverages to frozen foods to skin care. Today, the New York-based startup is launching its brilliant barcode scanning iPhone app, just as it passes 100,000 ratings on its platform. “The app fulfills our vision of helping people make smarter purchases at the grocery and drugstore. The fact is, with over 50,000 choices at the average supermarket or drugstore, it’s easy to buy the wrong product or a disappointing one. Especially because these are the stores we frequent the most,” explains CEO Ryan Charles. Charles describes the app as a powerful search tool that uses barcode scanning to connect you to ratings of thousands of health, beauty, grocery and baby products (US products only for now). Simply snap a photo to find out more about the product or rate it yourself. As long as you’re taking a photo of a US product, the scanning software on this thing is bloody brilliant. If it’s not made in the US, you can add the product manually. From there, you can read reviews of the product, check out alternatives or see what stores have the item nearby. The app will suggest alternative products to the one you’re currently browsing automatically. It will also alert you if you scan a recalled product (be careful with Dole bagged lettuce!). You can look up thousands of different consumer packaged goods and the app allows you to filter by hundreds of criteria like gluten free, dry skin, curly hair, etc. One of the team’s working mottos was “give us your gluten free, your sensitive skin, your thinning hair consumer masses yearning to be free of bad product decisions.” Funny. So, what’s the most popular consumer packaged good on Consmr? Nutella, far and away. What’s top rated? Method’s cleaning product “Wood for Good Surface Cleaner”. Check it out for yourself on mobile at the link below.